I made myself a sketchbook with 500 drawing prompts á la Kasey Golden. If you don’t know her yet – shame on you! Nah, just kidding. You should check her out. She’s an awesome YouTuber and illustrator and she’s one of the most creative persons you can find online. Her videos are very unique and funny. She has a video series on YouTube where she uses the 500 Drawing Prompts Book by Piccadilly to create super fun illustrations and characters using single prompts and several prompts together depending on how many prompts are written down on each page of the book. She starts by sketching out several ideas in that sketchbook and finishes the prompt(s) with a polished illustration on separate paper. In her videos she always mentions that this method pulled her out of her art block. Also it helps to come up with ideas and pushes you to draw things you wouldn’t draw by yourself. It’s a good way to practice different stuff and to build up a portfolio. No skipping of prompts allowed! I decided that I wanted to give it a shot, too, but I didn’t want to use the very same book, because I don’t want to be biased by the illustrations Kasey created for those prompts. I thought it would be a good idea to have more nouns than verbs and adjectives in it, so I decided to generate 300 nouns, 100 adjectives and 100 verbs. Of course, especially in English, without a context the cateogory of a word is not always clear (e.g. hunt can be a verb or a noun), but I don’t mind the ambiguity, because there is more potential for fun and freedom. At first I selected the category nouns and set the quantity on 300. I pasted them into an Excel sheet and turned all plurals into singulars, because I wanted to delete duplicates later. I don’t want to have hand and hands in my list. 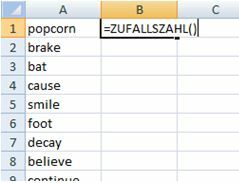 Then I deleted the duplicates (Data -> Remove Duplicates) and also some additional words that were too similar to each other (e.g. simple and simplistic for the adjectives). I also deleted prompts that don’t have much content in themselves or that are too abstract for my sense (e.g. thing, stuff, statement). You can call that cheating, but I still wanted to have fun with those prompts later and don’t give up after the third one. I generated the missing number of nouns (about 20) so that I got 300 nouns in total in the end. 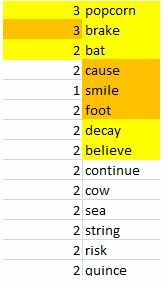 I did the same steps for adjectives and verbs, except I set the quantity on 100 each. In the end I checked duplicates for the whole list and then I added more random nouns to achieve a total number of 500 prompt words. The only thing you have to do now is to sort the whole list by the size of the numbers in column B (Start -> Sort and Filter -> Ascending/Descending). I also wanted to randomize how many and which prompts will be on which page, ranging from one to three prompts. I wanted the double-prompts to be the main part of the book. I just think that this is a great number to get creative, but not to be too restricted in what to draw. I decided that I would like to put 300 of my prompt words onto 150 pages. So I was left with 200 prompt words on my list. I thought the easiest way to split that would be to have 50 single prompt pages, which leaves 150 pages to divide by three. That makes 50 pages with three prompts on them. So the book will have 250 pages in total which also should mean 250 illustrations as a result. I made another list in Excel including 150 times the number 2, 50 times the number 1 and 50 times the number 3. Then I randomized that list and that’s how I will organize my 500 prompt words that I also had randomized before. 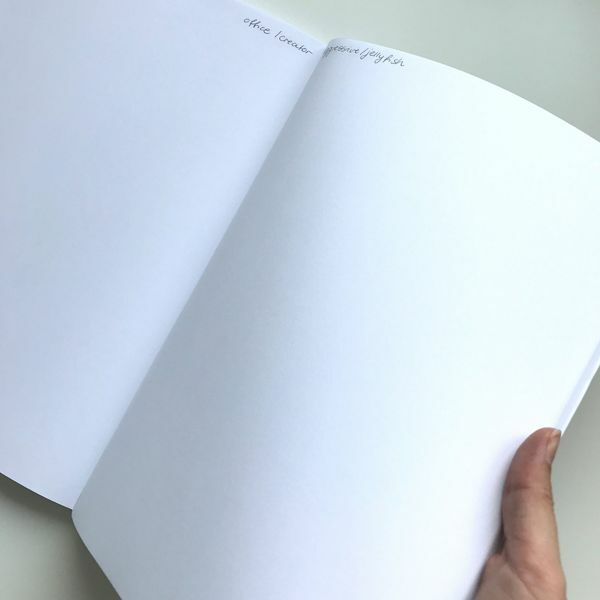 I used cheap printer paper and wrote down the prompts on the front and on the back of it, because the book is just there to tell me the prompts and to sketch out the ideas very roughly. 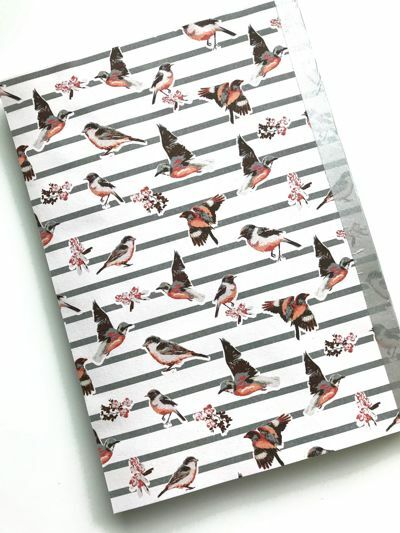 Just like Kasey I will do the finished illustrations on separated paper or in one of my other sketchbooks. 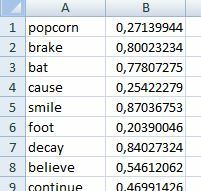 Looking at the first prompts and numbers from one to three we get the following constellation for the first pages: popcorn, brake and bat will be on the first page, cause, smile and foot on the second one and decay and believe on the third one. The fourth page will have a single prompt continue (my brain is already thinking what to do with this boring one, sigh). I kept track of which numbers and which prompts I already had written down by marking them in changing colors. I was so influenced by the 500 Drawing Prompts book from Kasey that I started to separate the pages into different parts by drawing lines on them. After many pages I realized that this wasn’t even necessary, because the prompts are supposed to be combined anyhow. Shoot! Originally the book was designed to draw every prompt on its own. Kasey just rolled with it and drew over the lines anyhow… well…. now my book has some pages with and some without dividing lines on them. I used glue that was especially made for book binding. 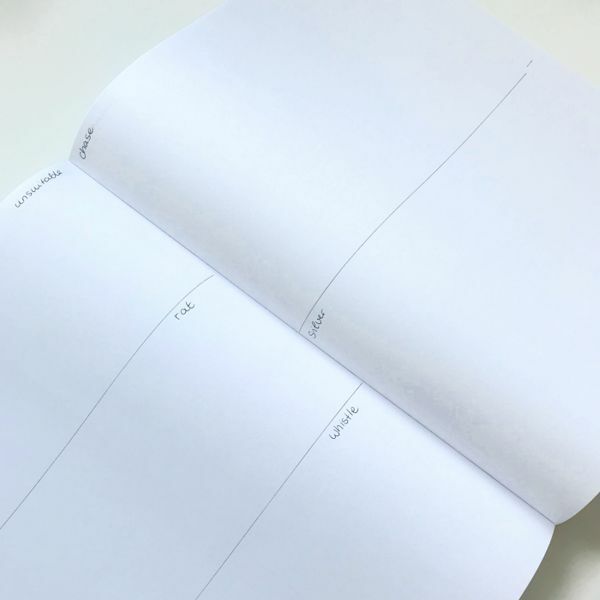 If you also want to do this don’t forget to put a blank sheet of paper in front of the first prompt page and one behind the last page, because the cover paper will be glued onto those. If you want to see how I glue my sketchbooks – I use a technique that Baylee Jae demonstrates in this video. The only thing I did differently is that I chose to have a soft cover so that I didn’t need cardboard to do this. I simply glued pretty scrapbook paper onto the front and onto the back. I covered the spine with a metallic washi tape and decorated the front side with a sticker by Iraville (because why not?) 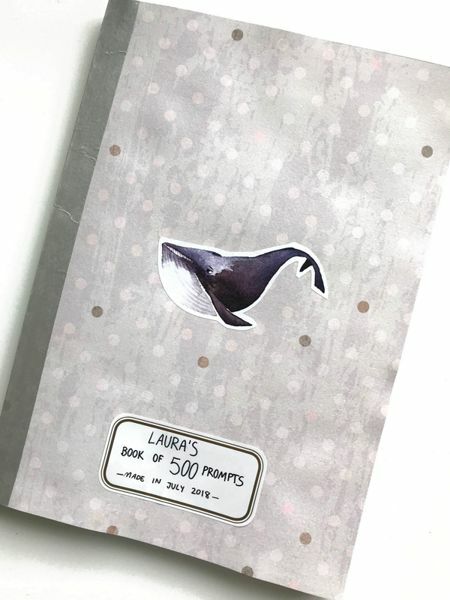 and the title Laura’s Book of 500 Prompts. After everything was done I realized that I had glued the wrong side of the paper and that my last prompts were now in the front while my first prompts with the divided pages are now in the back. Also the prompt words are now near to the glued spine and not at the outer edges where I wanted them to be. Well, that was stupid, but what should I do? I hope this inspires some of you to make a prompt book by your own. You can use a different word generator, different word categories and a different number of prompts, of course. But make sure not to think about each prompt to much while making the book, because this will influence you to cut out those prompts that don’t speak to you immediately. I already finished the first illustration for the prompts zinc and line. I plan to continue this blog as a series, but the following posts will be much shorter. If I can find some time there will also be a video from time to time. I hope that Kasey won’t be mad at me if I do that.